This is a response to the excellent article over at one of my favorite sites, Explorminate. In the article, author Oliver Kiley laments on what he sees as the current unpolished state of the modern 4X market. So why are so many recent games having a hard time delivering a polished experience out of the gate? The short answer is: cost. People pay for gameplay, not polish. Galactic Civilizations III: Crusade shipped hundreds of amazing features including free-form ship design..and then misspelled "infidel"
Offworld Trading Company is an excellent game that was extremely polished upon release. And yet, many players balked at its initial price point of $39.99 even though it's an excellent game and one of the few economic RTS games on the market. Polish is very expensive and generally undervalued. Whether we like it or not, people buy games based on feature checklists and not polish. Now, let's have a cold, hard look at the game industry. 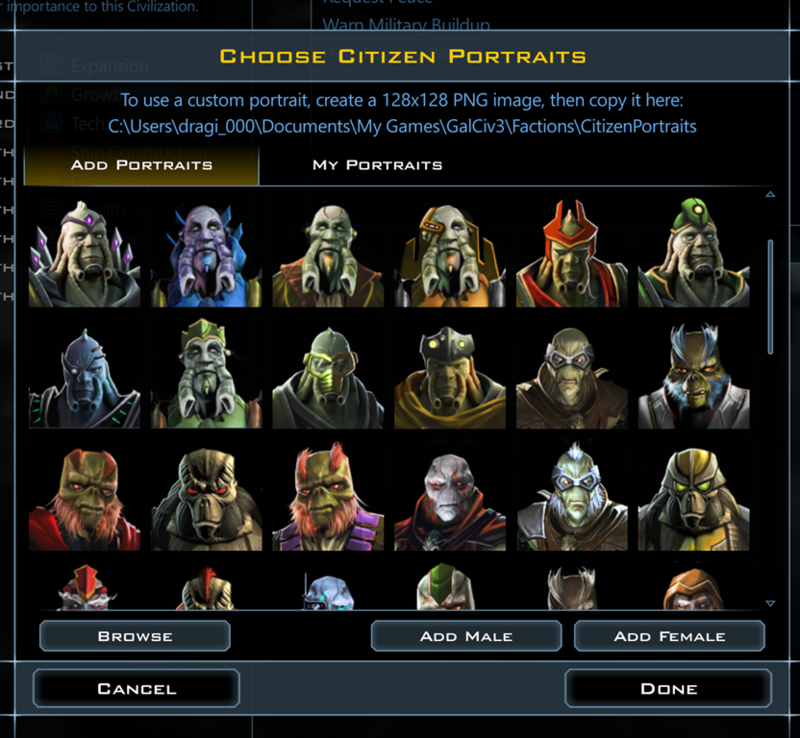 Galactic Civilizations II cost $600,000 to make. 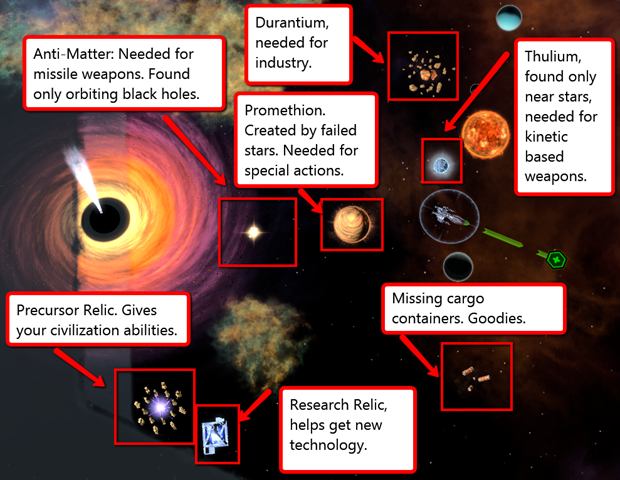 Sins of a Solar Empire cost $800,000. By contrast, Galactic Civilizations III cost 5X as much as GalCiv II and not only has the market not gotten bigger but price pressure is greatly increased. For example, Galactic Civilizations II sold over 3 million copies during its lifespan (over 700k on Steam where it wasn't added until it was over 6 years old). That's more than all the current crop of space 4X games combined. We're a long way from the days of games being on the shelves of Walmart and Best Buy and Steam has not filled that void completely yet (especially given its discoverability issues). Stardock's popular, MULE-inspired RTS, Offworld Trading Company is loved by many...but frequently down-voted over its price. Each game has its own unique story. 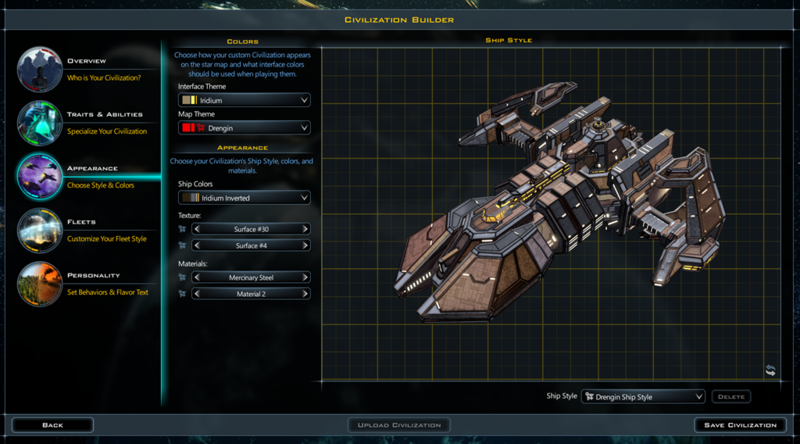 Galactic Civilizations III, when it first came out, had nearly half its budget consumed by the development of a brand new, multi-core, 64-bit, engine. That meant throwing out all of the GalCiv II source code base (in multicore, you're not even supposed to use pointers to give you an idea of what's involved). So the design was a lot more conservative than it otherwise would have been. Galactic Civilizations III: Crusade is outstanding and only cost $400k or so to make because its focus was purely on innovative gameplay additions. It wasn't nearly as polished as I would like it to be but it does mean there's hope in the future (I felt GalCiv III need a lot of gameplay additions and I chose to sacrifice polish for more features) to being find a better balance between polish and innovation. 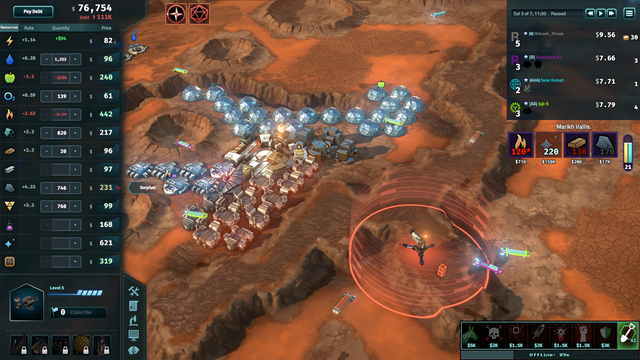 Stardock is hoping that modding, rather than DLC, is the future. No, gaming is not "big business". Let me put this right out there: Endless Space 2 + Stellaris + GalCiv III combined will almost certainly never make as much money as Start8. Enterprise software is big business. 4X strategy games (outside Civ) not so much. There is a huge disconnect between players and developers on this issue. I see the term "money grab" regularly used in response to a $4 DLC. Do these same people give their barista this kind of grief? In an age where Steam Spy exists, there's no excuse for people not knowing that niche game development, especially today, is not a get rich scheme. Developers make the games because they love making them. Understand the trade offs. I am not privy to the budget of ES2 or Stellaris or MOO or what have you, but I would bet that the budgets for each of those were well over $5 million. If you want to know how much a game makes, take the list price, divide it in half for the average price, then multiply it by 0.7. So imagine a game with a $5 million budget. Let's say its list price is $40 and it has sold 200,000 units. That means it is only about half way to breaking even on the development cost (let alone marketing, etc.). The new Master of Orion game has sold about 200,000 units. Wargaming.net paid $2 million just for the trademark. Or put another way, the game hasn't yet sold enough to pay back the cost of the trademark acquisition let alone the development budget. But as anyone who played it can tell you, it was very polished at release and relatively in expensive. The criticism directed towards it is that it wasn't ambitious enough. Would the new MOO have sold better if it had been less polished but more ambitious? I think so. The point being: Developers have to be very careful where they invest their resources. Understand why timing matters. Have you noticed that May is the new release date for many games? That's because in the Steam universe, if you don't release your game by mid May, you have to wait until September. June is the Steam sale month and July and August are dead months effectively. If your studio has a $500k per month burn rate, you are asking them to lay off employees to delay. I delayed Sorcerer King until August specifically for polish (and it's one of Explorminate's favorite titles). But polish hasn't made Sorcerer King popular. It's sold only around 60,000 units on a $2 million budget. Instead, Sorcerer King would have been better served having a lot more depth and features rather than going smaller and more polished. Thus, if you have a game that is basically done but could use more polish and your choice is to release it in May or wait until August and polish it, then you should release it in May (we waited until August and had to lay people off when it didn't sell as well as we hoped -- if we had released it in May and sold the same quantity, the studio wouldn't have had to lay anyone off). Patience. As an industry, we are migrating from a 32-bit, single core code base to a multi-core, 64-bit code base. It's worth noting that the most "innovative" game the author calls out is the one that hasn't begun that transition yet and thus could take advantage of a mature code base. But ES2 and GalCiv III both had to make that transition and it's non-trivial. It just means that the next set of games will be much more polished. Going from from single core to multi-core is very hard. All that code where you're passing around pointers? Yea, that's gotta go for the most part. That's a really bitter pill to swallow. So the good news is that I think players will see a substantial improvement in polish going forward as the transition from 32-bit, single-core to 64-bit multicore is completed. But in the meantime, we had to pick between gameplay, cost and polish and we can only pick two. GalCiv III: Crusade. Some argue this is what GalCiv III should have been. But many of those players never played GalCiv II (the base game) but rather started at the Ultimate Edition. I really enjoyed Mez's article. It also highlights the core disconnect between gamers and developers. The best way to think of those of us making these games is that we're gamers who happen to know how to code. We aren't in this for the money. We're in this because we love the games and the gaming community. The sticker price of games has stayed the same or even gone down over the last 30 years. I remember paying $35 for the Legend of Zelda in 1986. That fact tells me that the current crop of game purchasers include a lot of spoiled brats with entitlement issues. I would prefer to pay more for a solid, bug-free game, but i understand i'm in the minority and that its a tough market to swim through. I understand the reality that is being discussed here. I sympathize with Brad as a fellow gamer and as a business person. However, as an Elite Founder (pretentious title) who has also .bought a gift copy for someone else. please don't talk to me about "pick two". I have ponied up my money already and I have long term expectations that do not have anything to do with a sense of entitlement or foolish demands from Stardock or any other game publisher. Very difficult topic. I love to have more and deeper features (as long as those are useful; features I never use in a game because their is always a objectively better choice don't count), and I don't like stumbling over bugs every three minutes. I think there is a point when unpolishedness and bugs outweigh gameplay and features but where this point is is different for every person. So where should the developers draw the line? If then market constraints like the ones Brad described with Steam come on top of that, what to do? Very interesting information, Frogboy. Appreciate the candid honesty. I remember when games on floppy disk (5.25" floppies) cost $59.99 at the local Diskovery or Software Etc stores lol. That would have been mid-late 80s on the Atari and then the first IBM 286's in the late 80s... So yeah, the cost of games has gone down dramatically in comparison. The major difference in the marketplace is that there a TON more games competing for market share. In 1988 say, I might have bought 4-5 games the whole year. Now, I typically do that in a month or so (including expansions, DLCs, whatever). And the cost of creating those games has continued to skyrocket. Back in the 80s, it was often a one-man show or maybe one developer/coder and one artist. Now the credits read like a major move production...dozens, scores, and hundreds of names for major titles. Of course the market reach of modern games is also significantly higher (I doubt most of those games I bought in the 80s sold many copies...I'm talking Computer Ambush, Cosmic Balance, Stellar Crusade, etc. So it's give and take when it comes to revenue vs cost, but I can tell you that the margins get slimmer and slimmer and that's why many studios are just a single bad release away from going under. It's a delicate balance. All of that said, I think an unpolished release can be a death sentence for a game as easily as lack of features. As the saying goes, you never get a second chance to make a first impression. And most of your reviews and buzz are based on what comes out on release day or at most in the first few days after launch. So if you're game is unpolished and has even just a few holes, people are going to jump on it and give it a bad review. As has been noted for Crusade, the limited Steam reviews hold very great power and lead to all kinds of abuse (shills, 'hate down-voting' for balancing away someone's favorite exploit, etc). I'm interested to see where Crusade goes. I think it's a big step forward over vanilla GC3, but it's a shaky step and it's going to need to healthy does of polish and tweaks to reach it's potential. I hope it does well enough to allow that to happen. Good write-up. I had a good read with this. Since you didn't, I will link another article of yours from some time ago. I this migration going to hit other genres soon, too? Is it allready hitting them? I mean it kind of is an investment, which has not payed off yet, right? The relationship you build to a game by pouring dozens and hundreds of hours of making a features just is not the same as the one a player is building, who entirely lacks this perspective. There are all these little struggles which the informed observer takes as simple, which simply are not simple, once you have to code them. Especially not if the code has to be efficient in the end. It's a sign of a well crafted game, that the player doesn't see the seams. That's what polish is for, I think. My point being, that we should not deceive ourselves about these differences, but realize, that we should work together anyways. Interesting article and response. I'm cynical enough to think that, thoughtful and interesting posts like Brad's notwithstanding, the vast majority of gamers aren't going to spend much time or effort understanding the game developer's perspective. I freely admit to not giving the car manufacturer's perspective or the milk producer's perspective much thought when I buy cars or milk, interesting as those may also be. Brad's remark about players ignoring polish deficiencies much more readily than gameplay/design deficiencies is right on the money. We can see the potential in a new engine or an ambitious design; if a game sports a bad design or has uninteresting gameplay no amount of polish in the world will help. Like everyone else, I vote with my wallet. And my vote is very often influenced by the developer's post-launch reputation. Are they likely to cut and run, or will they stick around and polish that good design until there's a nice shine on it? This is hard on new development houses, which IMHO have much more pressure on them to deliver a smooth experience right out of the gate, but such is life. The last month or so has been hard on 4Xers in particular. GC3 is looking more and more awesome with each passing week but GoG MP still crashes (a particular annoyance for me) and the systems and numbers are still settling down, ES2 had a bumpy launch and is still struggling with some stuck turn issues and a bug count longer than Spongebob Squarepants' bucket list (seriously, I think WeaponizedCaffeine is logging at least a dozen bug reports a day based on his forum posts), and we shall not talk about Stellaris. So we're moaning about it a little more than usual, but I think this is how it's gonna be -- I'm gonna keep voting for games that arrive in only moderate shape, as long as I'm confident that they'll get cleaned up afterwards. Can you imagine the alternative? If everyone waited two years for a game to be completely "done" and polished and all the DLC bundled and on sale.. the industry would adapt, I'm sure - but big, beautiful, complex games would be $200 if they continued to be made at all. The risk of releasing a turkey would be that much higher, so the urge for most investors would be to stick with derivative, pretty and shallow. See: Hollywood. I agree with you whole heartily! I would pay $80 for a good, polished and deep game. I substance over cheap price... besides, you get what you pay for. I certainly appreciate Stardock for spending time on the boards and actually listening to players feedback. I think mainly the original author I was responding to was discussing 1.0 releases of games. Post-release, polish comes. Look at how far GalCiv III has come for instance. Oh GalCiv will be developed as long as I'm in charge. It's hitting most of them already in different ways. Paradox has postponed the pain by staying with their 3rd gen Clausewitz engine which is now over 10 years old. But it is extremely well polished now. But eventually, they will have to move to 64-bit, multicore too. Amplitude went from a 32-bit, DirectX 9 version of Unity to a 64-bit DirectX 11 version of Unity. But it is still Unity which brings its own benefits and drawbacks. Master of Orion used the same engine as Endless Space 2 (and in fact, another space 4X came out in May whose name I can't remember but it too was a Unity game). You can think of GalCiv III v1.0 as where Clausewitz was in 2007. Crusade is where it was in 2009. So you can imagine where the Galactic engine will be by say 2020. It's all polish and improvement from here on out. I'm cynical enough to think that, thoughtful and interesting posts like Brad's notwithstanding, the vast majority of gamers aren't going to spend much time or effort understanding the game developer's perspective. I agree. However, ultimately, it doesn't really matter whether they understand or not any more than it matters whether they understand why airline seats keep getting narrower and narrower. The market is reacting to their collective buying decisions. I think the reason you're seeing the expectations of consumers of games (largely millenials and younger) becoming tough is a combination of higher competition on Steam, and the effects of late capitalism. Simply put, the public is so squeezed financially that $4 is a lot these days. Add to that most folks do have 100 game backlogs they can go back to at any time, and you really have to come up with something new in order to gain sales. I do think your efforts to make games for an older, more affluent crowd make Stardock a little inocculated against this, but not completely, as those folks are a long-term shrinking market. These trends are going to get worse over time, not better. Games are a really tough market, and I think you might have it easier than most due to how you've built up a core fanbase over the years. Throw in any sort of draconian data caps, which I strongly suspect will happen in a couple of years to the majority of Americans, and we're headed for a crash. What folks are looking for in high-priced games is something that will give them hundreds to thousands of hours of soma as cheaply as possible. If they get that, they don't have to buy any more games. In terms of polish- my expectation for polish is moderate on a new game, but with expansions I expect there to be more polish. I would expect the followup to Crusade to be mostly refinement to existing systems, one new system that fits in very well, and heavily increased polish. That said, I think Sorcerer King's issues were not so much August timeframe (I really don't think timeframe matters a whole lot for niche games on Steam), but marketing and residual stench from 2009 mistakes. Folks just saw Sorcerer King as another Elemental game, and the Elemental brand name never recovered from War of Magic outside of Stardock's core fanbase. It wasn't just another Elemental game, and I enjoyed the original Sorcerer King (but not Rivals- Rivals just wasn't different or new enough). Enjoy your work, Make a lot of money, Live withing the law - pick any two. Focus your business on: Best Product, Best Service, or Best Price; some combination of 2, but never all three (as a corollary, if you walk into any business and can't figure out which 1 or 2 of these they're focusing on and which 1 or 2 they're sacrificing - chances are that business won't be there in 3 years (or apparently 40 years, if it's Sears)).. In any event, good post Brad - I really like that you post numbers. I have to agree with the general sentiment that people seem to have that games have actually gone down in price, rather than up. The only case where I disagree tho, is in the AAA's. For the longest time there was a $49.99 ceiling for game prices, and I really noticed when Blizzard broke this with one of their titles, can't remember if it was SC or D2 or what, but the psychological aspect was big enough that I thought to myself: "oh man, this is it.."
I still see a lot of AAA's for $60 or $65, but I have to believe that a $100 AAA would sell about zero copies . Other than that - sure new releases still list in the 40-60 range, but the price drop-off is so fast that they're half price if you just wait a bit. There are a few exceptions, but over the long haul pricing pressure has fallen steadily to a greater and greater degree into the customer's camp..
Oddly enough, I think that DLC may actually be the answer to the conundrum described above. The Gillette Razor model (or the HP ink-jet printer model, if you will) might end up being where the industry ends up going with cheaper get-your-foot-in-the-door games that have a much more subscription-like revenue model whereby people are buying DLC for the game 'platform' that they like. The problem with DLC is that it's super annoying to buy - especially on Steam, where it's cheap to buy a lot of DLC, but expensive if you only need a couple because you already have the rest. And this sort of model itself would be increasingly subject to things like the Playstation Store where you subscribe to free games every month which you can keep if you like. Even similar industries with huge economies of scale with an 'automaticness' of purchasing that game studios can only dream of are having a really tough time going it alone - HBO being a good example - sure they're doing fine now, but their future really is a haze for anyone thinking about it. The game industry in general is really trying hard to figure this out, as there's been a lot of innovation in how the funding works - crowdsourcing, DLC, etc.. Personally, I've found (for me) the answer to simply be just buy everything that looks even remotely appealing from studios that I like (Stardock, InXile, Obsidian) and don't sweat the small stuff or how long it takes for them to deliver (Pillars and Torment took forever, for example - but who cares really? ), and just wait for the mega-sales on everything else (either pre-release (you can often get killer deals on betas that are just fine to play (Prison Architect comes to mind), or a year or so down the road after full release).. The one aspect of the discussion that I really do have sympathy for, both from the consumer end and the devs end, is that people just really do not have the disposable income that they did 20-30 years ago. This hasn't been the result of irresponsible people, rather really bad social policies that we've pursued and it's really starting to show. People 'whine' about a $50 game because $50 actually ends up being a significant expense for them - and many of these people recognize that a generation ago it wouldn't have been. Some people played their cards right (or got lucky) and are doing a lot better than their parents - but not most people, and video games actually represent one of the cheapest forms of entertainment out there right now (reading being the other one), so a lot of game forums really are selection biased toward people where game prices and perceptions of value really are meaningful in aspects that go beyond their pure entertainment value. I bought the founders elite version of Offworld and only barely played it in the beta - because I was under the impression that it would be a longer-format game like a Rail Road Tycoon 2 on Mars (someone needs to make this btw), it wasn't so I don't really play it. This is totally fine, I don't mind paying however much it was for the game because I think it's a great game - just not what I'm in the mood for playing ever. I can just shrug and eat that expense and not be bothered at all (I mean my steam library has hundreds of games I've never even installed), but I am definitely sympathetic to the fact that a lot of people out there that are buying games can't. It's a blessing and a curse that game devs are close to their customers. The last time I went to a movie (a year or two ago) I'd gotten some free tickets from work so a friend and I went to go see Star Wars in 3D, I mean - how can you say that this isn't worth seeing? So we went and it was pretty awesome in 3D. We try to avoid the crowds but I think there were all of 3 other people in the theater. The tickets were something like $50 for the two of them! Jeez, no wonder I haven't bought a movie ticket in years. Who do I complain about the price to? If it's stardock I know someone will read my post within 10 mins of me posting it, and actually /care/. AMC or Lucasfilms or whoever - not so much..
On a related note, thought I'd throw this up here, for people who haven't seen it. Life and Death in the gaming market - it's tough out there.. Obsidian pulls through (obviously), but just barely - it was the Pillars backers that saved the company..
rewriting code with a new architecture (no pointers? ugh!) sounds very frustrating and difficult. personally, I'd pay a little bit more for some polish, with gameplay being at the top. But how much more $$ for how much more polish is a tough question. One of the reasons I enjoy this game, is having to deal with those sorts of balancing acts in a fictional universe (and ignoring my real-life dilemmas). the AI work on this game has improved so much since the beginning, and the newest update looks fantastic. I do not play on very large nor difficult settings, and every time I decide to go up a difficulty level, there is a new update to get used to, and the AI is always a little tougher. Sometimes a lot more so. I think the polish will come, and I'm willing to wait. I'm patient. Just saying, I'd have paid a little more for not waiting. First of all, thanks Brad for this opportunity to express the opinion about current state of GalCiv3 in the format, which I find most relevant (y)! 2. GC3 Crusade stream lined the gameplay and made some important interface changes, which made the game experience "smooth" and more well paced IMHO. That said, I think there is one major issue with GC3 - and it is common for some of the other Stardock games as well: it is that it is too much of the "sandbox". What I mean by that is: there is a nice set of features in GC3, but many of these features live life of their own. There was in the beginning (and still is despite all efforts IMHO) disconnect between different functions of the game. So, why it feels that the systems (diplomacy, economy, ideology, politics) are not quite shining to their full potential? to have many basic features, which later could be brought together and made work together to full extent by expansions. That approach is opposite to what endless space 2 seems to be doing - where they are trying to do relatively small amount of functions, but make them deeper and working together very well.. The problem for GC3 I think is that once you have that big variety of different functions, it is very difficult to make them work together later. As some of them have to be completely modified in order to do so. And that's partly where the time and money go to with no real benefit for the company. Because it means quite a bit of re-working something, which already exists. Or you have to make decision not to touch some of the functions - and it means that they always will feel underdeveloped and ultimately frustrating as there is a bare skeleton for many of the things there, but it doesn't provide the real coherent experience. This is the biggest issue I have with Stardock games, such as FELH or GC3, they have great set of the features, but the coherent, integral experience of the game often is not quite there. The features feel disconnected and in many cases underdeveloped. I would argue, that if you (and of course it is just my opinion) put your money in too (much stronger!!) game design, then you will find that great games you have now, will become truly classic. AND you won't spend that much more money on development, because you won't be spending it on re-writing, re-combining features, but can instead always concentrating on expanding and broadening the game. Which you already an expert and market leader at! Thanks again, but really - this is such a great opportunity to tell you about the pains and joys buying from your company . This is a load of socialist BS. Okay. Here's what I pick: polish and sophisticated game play. You may proceed now. >Let me put this right out there: Endless Space 2 + Stellaris + GalCiv III combined will almost certainly never make as much money as Start8. I think innovation, good project management and the right price point can counter the gaming doctrine stated above. For example, a game like This War of Mine broke a lot of rules. It's black and white, has very little action, but features a captivating storyline and immersive gameplay. It sold very well and received excellent reviews. I'm sure there are others. Chris Roberts, the mind behind Star Citizen, might disagree with any financial limitations. He set out to raise $1 million for his game, it's currently over $150 million and they haven't actually released a game yet. I know this is an extreme example, but I wouldn't underestimate the wallets of gamers. Gaming, or any other business, exists in a free marketplace. Great products make great profits, inferior products... well, you'll spend a lot of time explaining yourself. I'm a huge fan, own every SD game and DLC, including duplicate copies of Crusade on GOG and Steam. I'm patiently waiting for the version of Crusade that was hyped. Like many people in this forum, I certainly see the incredible potential of GC and Crusade. I have to say that this is a poorly reasoned response. I'll second the OP. Not that $4 is a lot of money, but I will say that the $40 cost that studios generally require to recoup costs certainly are. With respect to the "socialist BS": Marx and the neomarxists who continued to work on his critique of capitalism (since Marx himself was unable to finish his work) certainly have a much stronger, coherent and cogent explanatory framework for describing the economy that currently exists, than do the neoliberals that are currently crowned the high priests of finance and policy (who unlike the neomarxists, have a /less/ coherent operational framework than liberalism out of the Austrian school (Mises, Hayek, etc) that its name would imply, go figure). If you simply look at the present state of the world, it is best described as being mired in exactly what the OP termed 'late capitalism' - or in David Harvey's parlance, a 'crisis of capitalism.' This is best described as excess productive capacity as far as the eye can see, little or no economic growth (especially if you remove finance 'capital' from the equation), and declining standards of living for most people. Personally, I think that this goes beyond simple foibles of capitalism (although the neoliberals certainly offer no useful answers whatsoever (more austerity, give more free money to banks and financiers, give away all public goods to private interests, and allow private interests to externalize all costs and privatize all profits)), and is confounded by the end of the great age of free energy that started with the industrial revolution in 1700's England when we first started burning carbon for industry. Late civilization also describes our current predicament - not only the unused excess capacity, but also the overproduction of elites and increasing costs of carrying complexity that is no longer supportable by our energy infrastructure (read Tainter - or if you want less robust reading for the lay-person, Jared Diamond). And before you immediately counter that 'oil and energy are cheap' no, they /appear/ cheap because the economy cannot afford them, as the costs of their production have squeezed out other productive segments of the economy that would normally be consuming them - thus demand has yet to recover its former 'glory' (you will also notice that carbon extraction brought online haven't even replaced what we've used over the past decade despite somewhere between $6-10 trillion dumped into doing so).. If you want to know what the future will be like, just look at Japan - except with more attempts at a spacial or temporal fix (again the neomarxists know how it works, the neoliberals do not) - more wars, more Detroits, and more 'Bridges to Nowheres'. And, in the West - without the strong social cohesion, harmonious culture, and sense of community that Japan had before their 1992 housing bubble crash.. This is why the OP was not spouting 'socialist BS' but rather an accurate description of the world he/she lives in.. Anyway, just think about it - I have yet to see an office running GC3, but there are a lot of cubicle farms with Start8 (and depressed cubicle farm workers).. I appreciate how you feel, but 40 bucks is not much in a world where a fast food meal for 4 will be more than half of that figure. 40 bucks is not so inconsequential that it can be squandered recklessly, but anyone with the wherewithal to own a computer and a wifi connection probably has the ability to buy a few 40 dollar games per year.